To all I want to say a BIG thank you! last night 104% were reached. Thanks to all of you who have believed in my project, the Youth acting in Social Tech project will see the light. 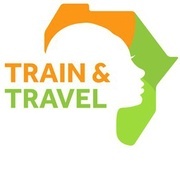 From February the Train & Travel team will start working on the design of the 12 workshops and the sponsorship. Of course you will be kept informed of the progress of the project, step by step. As soon as this first job is done, I will focus on the gifts you will receive by the month of April / at the latest July. Then we will launch the training, early July, hopefully. In the meantime, I wish you all a happy new year. For my part, I will take a few days off to come back with new ideas next week!